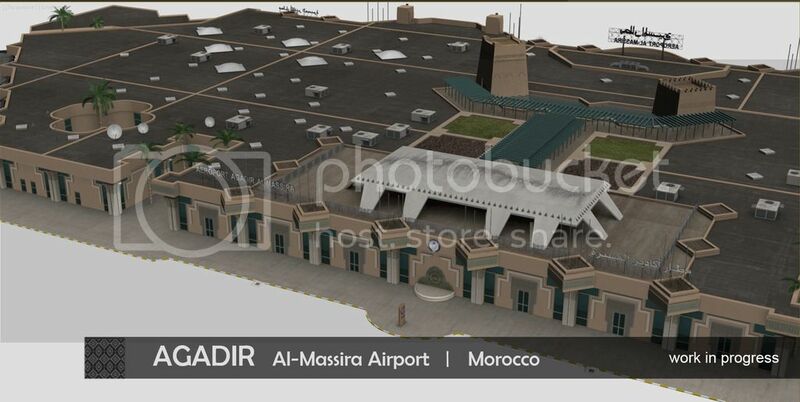 After Marsa Alam is now done I will stay in northern Africa for the next project as well. 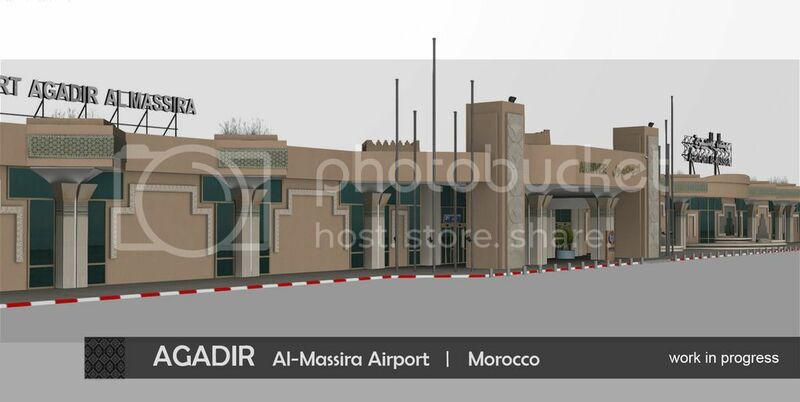 This time it will be Agadir Al-Massira Airport in Morocco which is another popular holiday destination. As you can see the work has just started but is still very early in the development process. At least the groundpoly already looks nice in my opinion. As I also work on other projects at the moment don't expect too much progress within the next weeks but everytime I have something to tell, I will post some updates and screenshots! Looks awesome. I like the try - looking Sceneries where the brown dry prevails! 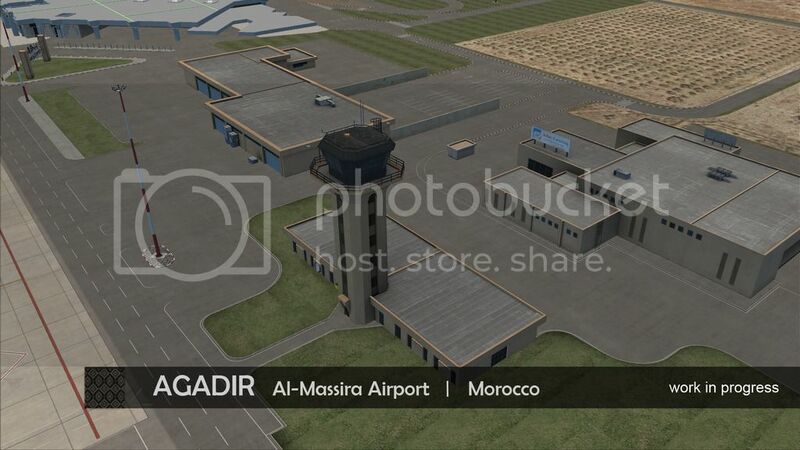 I think any airport in morocco is a welcome sight, as its a huge spot lacking on the FS map! 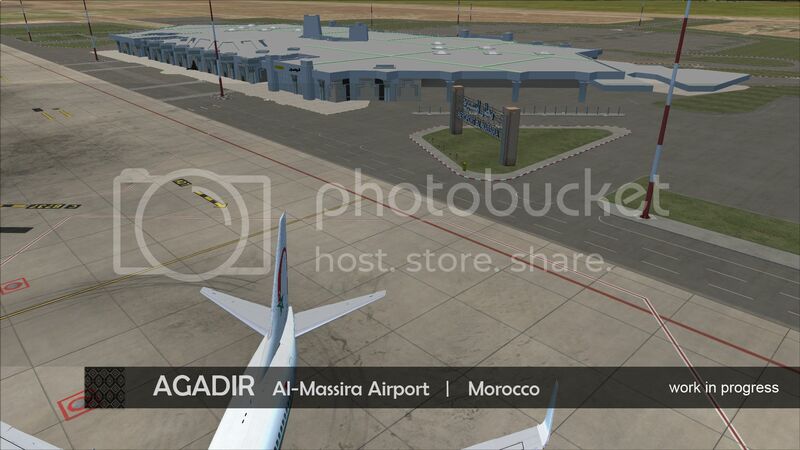 Hi this is looking amazing.. so this year will be a great year for the moroccan virtual aviation. 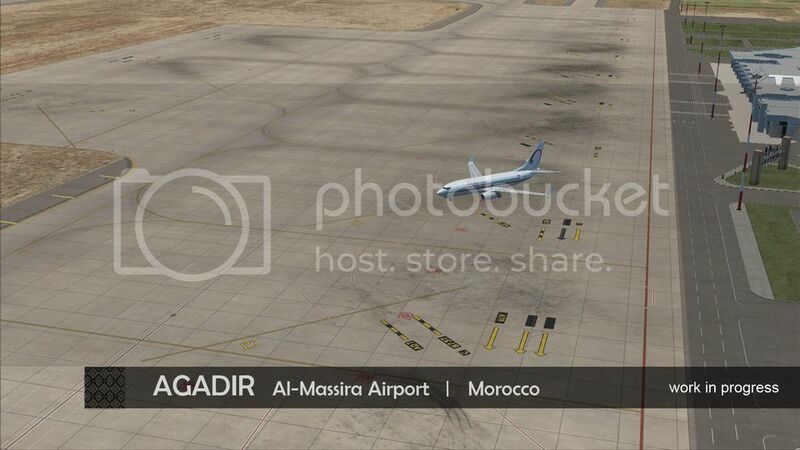 We are working on marrakech since over a year now. Good Luck! Finally ive been waiting for this airport so long! 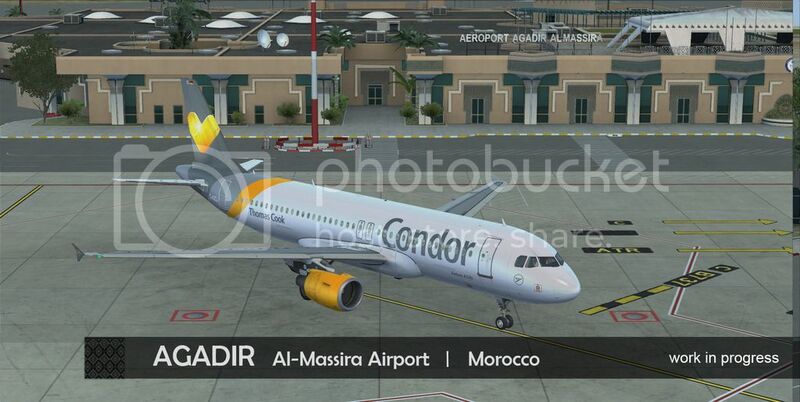 Can you please mak also a FS9 version this time? 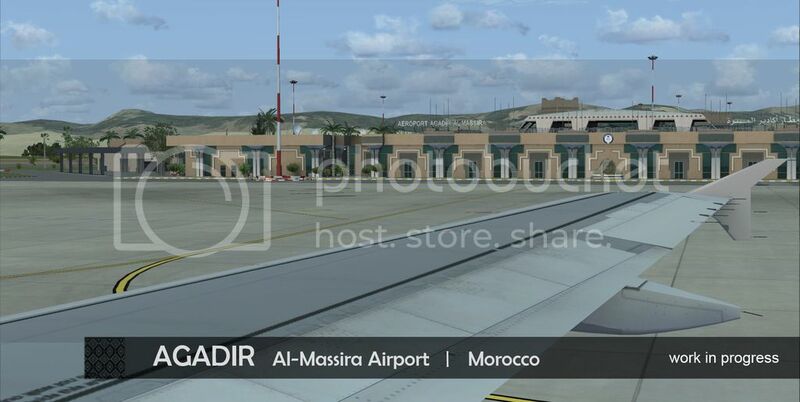 I know you didn`t Marsa Alam for FS9, but Agadir would be awsome. I am busy with 2 other projects which have a higher priority at the moment (with one almost done)! 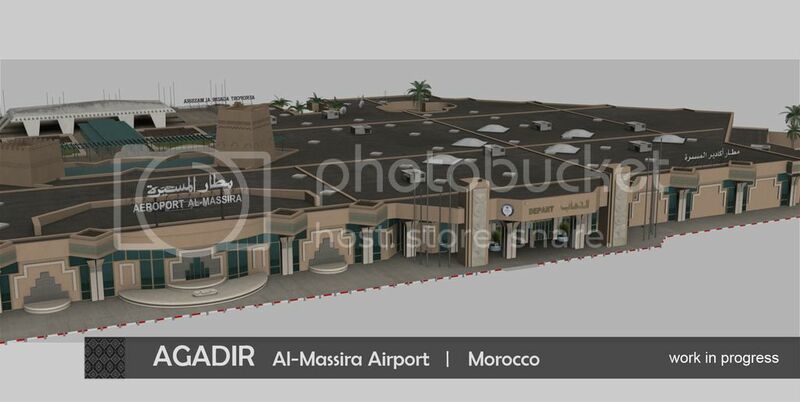 But if you have any recent imagery of Agadir airport please contact me at any time! 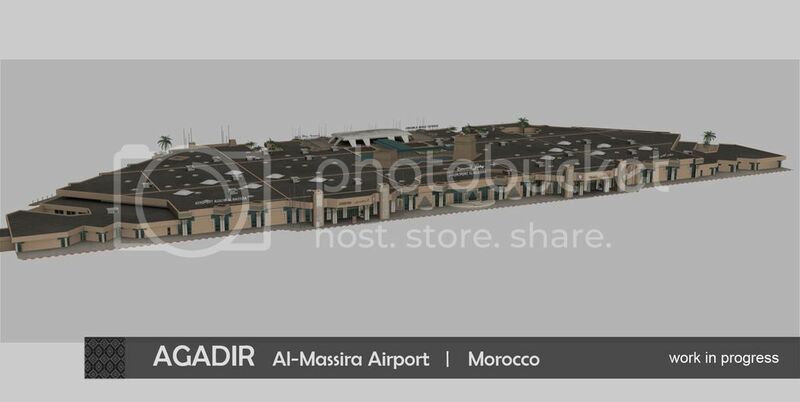 Okay, after one of the projects is "off the table" now, I spent a couple of hours on my Agadir project and got along extremely well in a short time. Looks really good, thanks for sharing! Great scenery! Well Done! 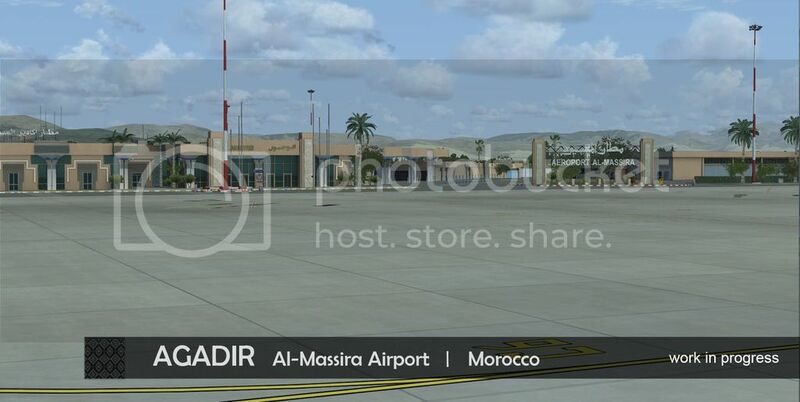 Finally a great scenery in Morocco. 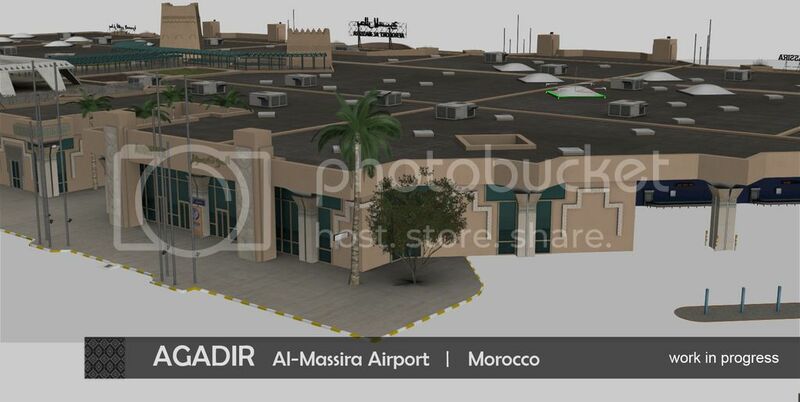 Let me know if you like to design airports in Horn of Africa. 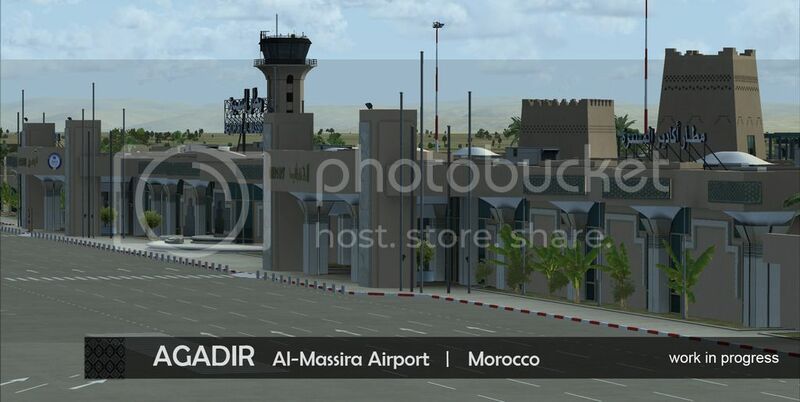 This is how the terminal and its surroundings look like in the sim. Ground shadows are still missing as these will be done after all static vehicles are placed. If anyone has images of buildings such as the new residential complex north of the airport or the VIP and Royal Pavillion please feel free to contact me so that these buildings can be done as close to reality as possible!